hi all, my name is Terry and i am located on the Staffs/West Mids border. i have been riding bikes for around 40yrs now off & on road. 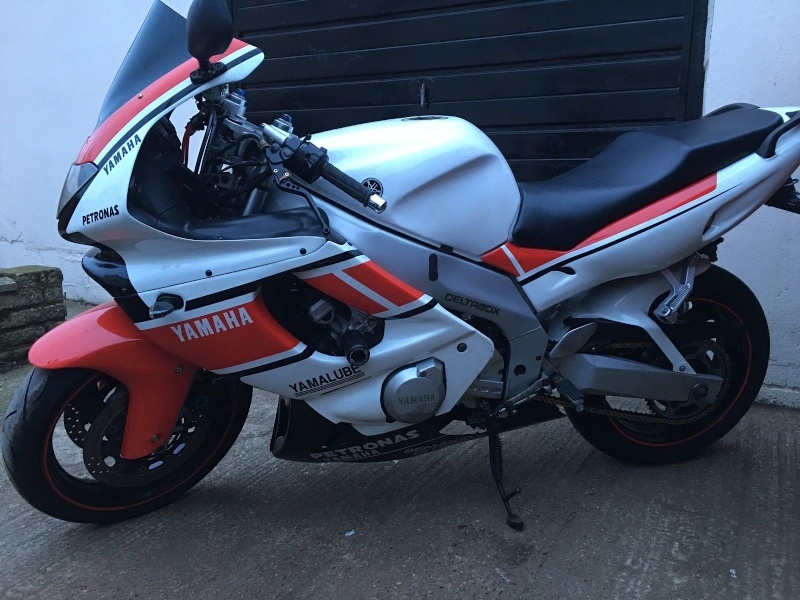 i have recently purchased my very 1st thundercat it's one of the first, reg'd 96. i purchased the bike off ebay and chose this bike for the paint job it's got and doing some homework on what the bike is capable of. i love my classic yam 2 strokes and i also own a streetfighter sv650.after the purchase my 1st reaction when i was riding it home was hey when i get into 3rd gear the bike comes into it's own, a little bit of a tiger. getting up to 3rd gear does not take very long, not much go there.will try to alter that with a change of sprockets. well i found your forum and i am going to see how the bike goes, who know's i may meet up with some of you guys out on the road. ...I have it on good authority that they don't all bite, and most of them are also house trained. Welcome mate. I also have a SV650 1999 as well as the Thundercat. @Dogsbody wrote: Welcome mate. I also have a SV650 1999 as well as the Thundercat. thanks for the pointer, the Welsh meet looks good. Hi Terry, welcome, glad you found us, hopefully you are pleased with your purchase. @SteveCat wrote: Hi Terry, welcome, glad you found us, hopefully you are pleased with your purchase. cheers Steve, only time will tell. but for now i am happy with the old cat. long may it last. hi, thanks for the welcome. how long have you owned the cat and how do you find it. any issues ? I just done servicing myself, easy with it being an older bike, no electrickery!!!! It does everything I want, keep looking at other bikes but can't justify it really when there is nowt wrong with the cat. Been on here since I got her & to be honest problem bikes seem to be the one's which aren't used. I ride out with my mate on his R1 and we "plod" along together with no problems!!!!! This place is full of Terry's now. @Rosco wrote: This place is full of Terry's now. thanks for the comments on the bike guys, it has been well looked after.with the upgrades and the paint it must have cost a fortune to do. Hi and Welcome to the forum Tez . . . I'm Tel (and also an 0ldcat ) , so I'm glad you're happy with the "old cat"